RELEVANCE: Phrase tangentially related to the alleged time traveler John Titor. HISTORY: The first appearance of the phrase “Tempus Edax Rerum” in relation to John Titor occurred on November 19, 2009 in a YouTube video titled “John Titor Letter 177 tempus edax rerum” by user lryhaber. The veracity of the video remains in question, as it only claims to be related to the original person calling himself John Titor in 1998 and later 2000-2001. The video also claims that its contents were written on March 22, 2009. It’s impossible to know whether or not the video has any true relation to the original John Titor. The video’s description references a website registered on April 22, 2009, www.johntitorfoundation.com, which also contains the phrase: “177 Tempus Edax Rerum – Good Luck, John.” It also displays a table containing dates and alleged amounts of worldline divergence. 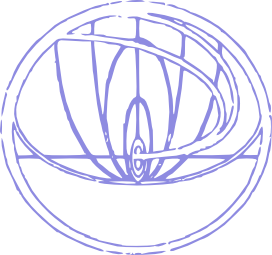 NOTE ON JOHN TITOR INSIGNIA: Unclear whether or not the phrase appeared on the original logo John Titor shared in 2000-2001. The insignia appears at the aforementioned foundation website with 177 inside and “Tempus Edax Rerum” below. However, JohnTitor.com shares the original uploaded image, which contains neither. The YouTube user name lryhaber may be a reference to Larry Haber, the Florida lawyer who represented John Titor’s alleged family in this worldline. EDITOR’S NOTE: Possible connection to the visual novel Steins;Gate, which first released on October 15, 2009 – some kind of viral marketing?